It’s going to be a little while ’til I can blog properly about Tresco, so here’s one more Tresco treasure. I’ve never really been interested in Proteas. I know people who are keen on them to the point of geekery, but I have only really been dimly aware of them. I was dimly aware of them as a child because my mother’s best friend was brought up in South Africa and her cut flower of choice was the Protea, even in her wedding bouquet. I was her sole, podgy, bridesmaid in a long cream crimplene dress (this was the 1970s) and must at some stage have had to look after that bouquet. I vaguely remember having stamps which featured a Protea because of course the King Protea (Protea cynaroides) is the national flower of South Africa. It’s very impressive but rather stiff looking and although I am a terrible plant groper I have never been tempted to touch it when I have seen it. Until Tresco. There are lots of Proteas in Tresco Abbey Gardens. 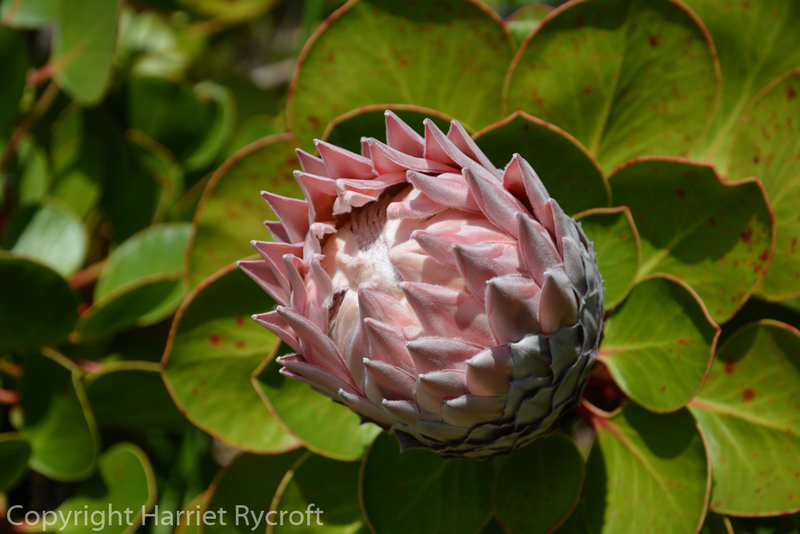 Chris and I went to the garden three times while we were in the Scillies and each time we did a little Protea bothering. The not-quite-open King Proteas felt smooth and silky to the touch, but really were quite hard. 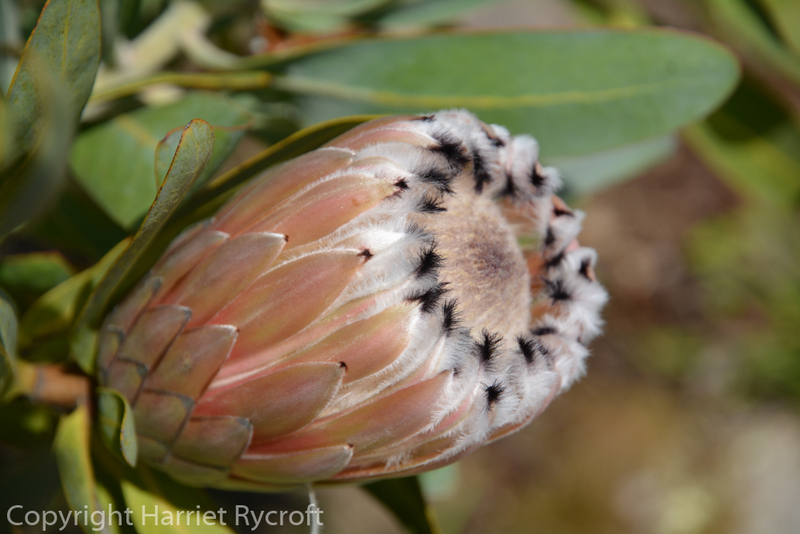 Our absolute favourite was Protea laurifolia, which felt exactly like a bird! 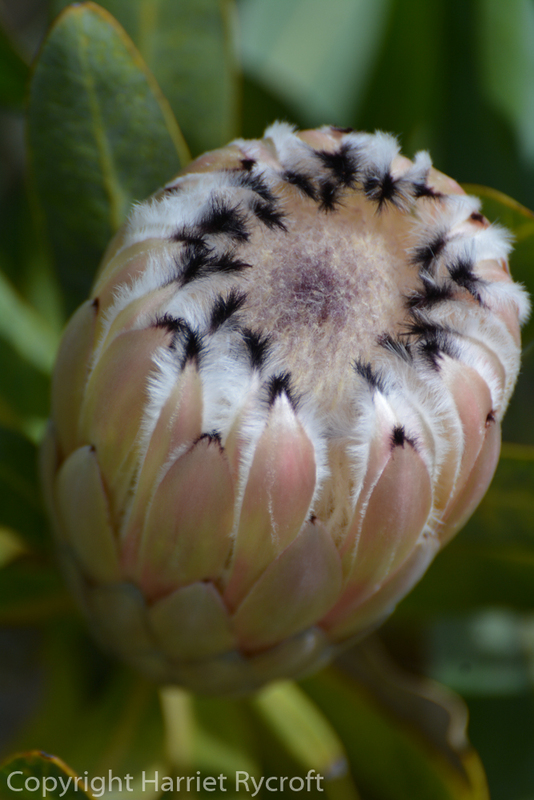 I couldn’t get enough of Protea laurifolia and had to stroke it a lot: the buds are shiny and silky, but the open flower feels like a bird and looks like a bird. The bearded involucral bracts are feather-soft, and it came as no surprise to find out that there is a cultivar called ‘White Owl’. It is pollinated by Sugarbirds in the wild, who dive in, feathers in feathers, to get at the nectar at the base of the tightly-packed florets. 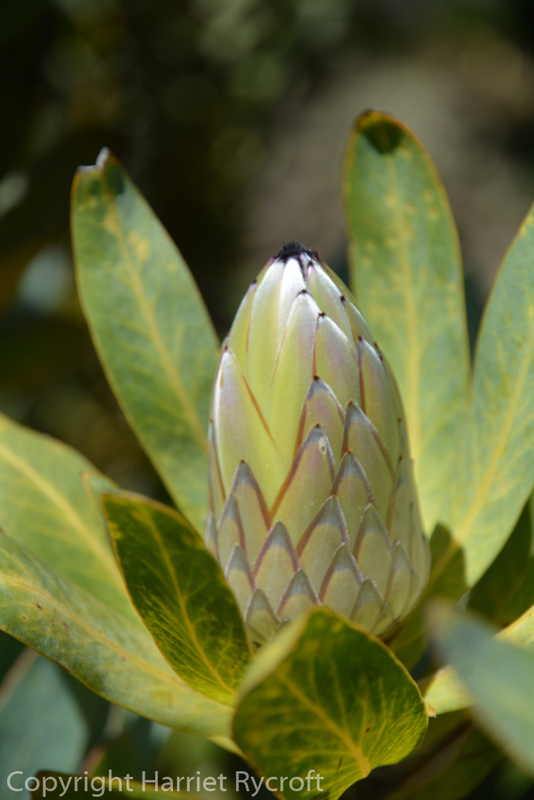 Andrew Lawson, Head Gardener at Tresco Abbey Gardens told us that the recently introduced red squirrels in the garden have discovered why the common name for Protea is Sugarbush and regularly wreck the flowers. Suddenly the little squeedles didn’t look so sweet. 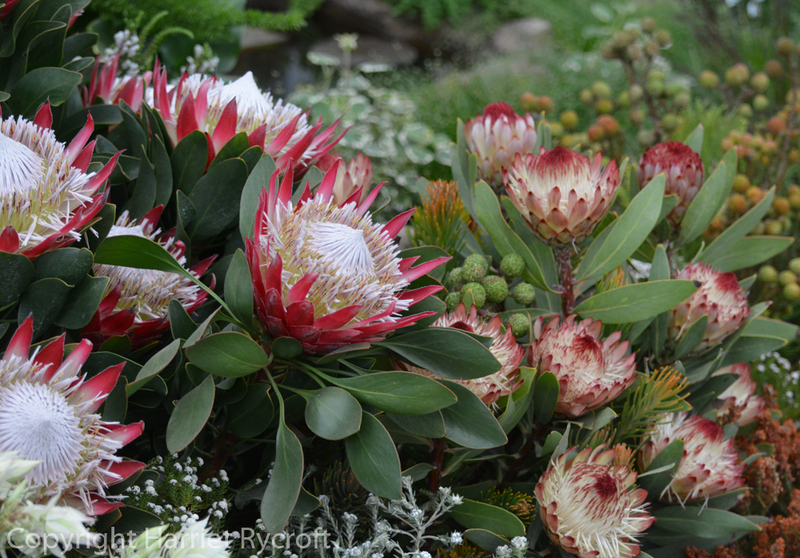 Protea cynaroides on the Kirstenbosch exhibit at Chelsea Flower Show this year. I wasn’t even tempted to touch it. 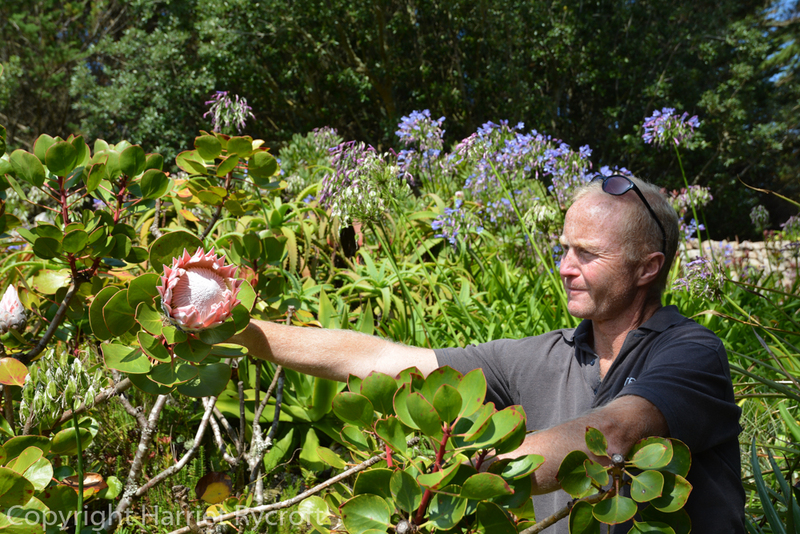 Andrew Lawson manhandling Protea cynaroides. 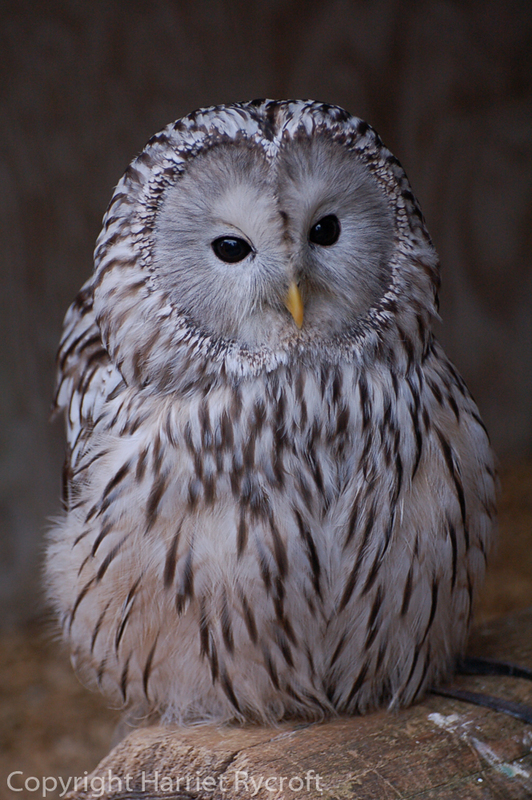 Archie the Ural owl at Batsford Falconry. A Protea laurifolia which eats rodents. 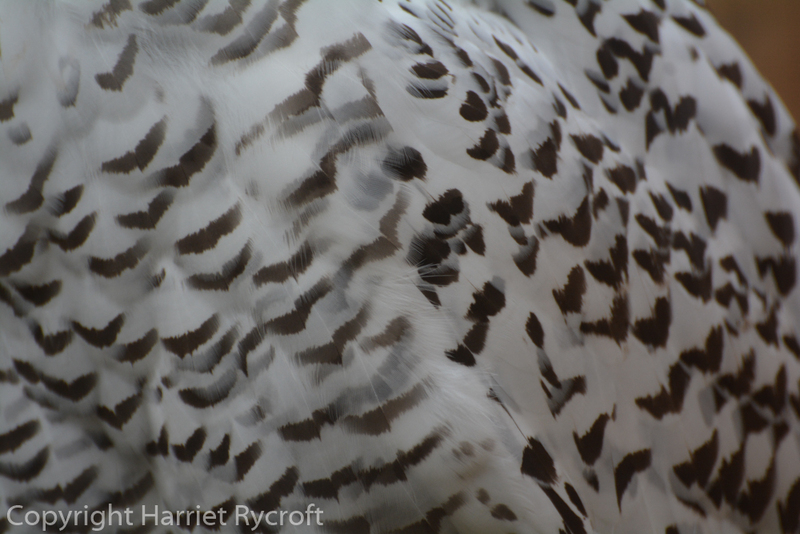 Snowy owl plumage. Rodents beware! Lovely laurifolia. Oh those bad squirrels. 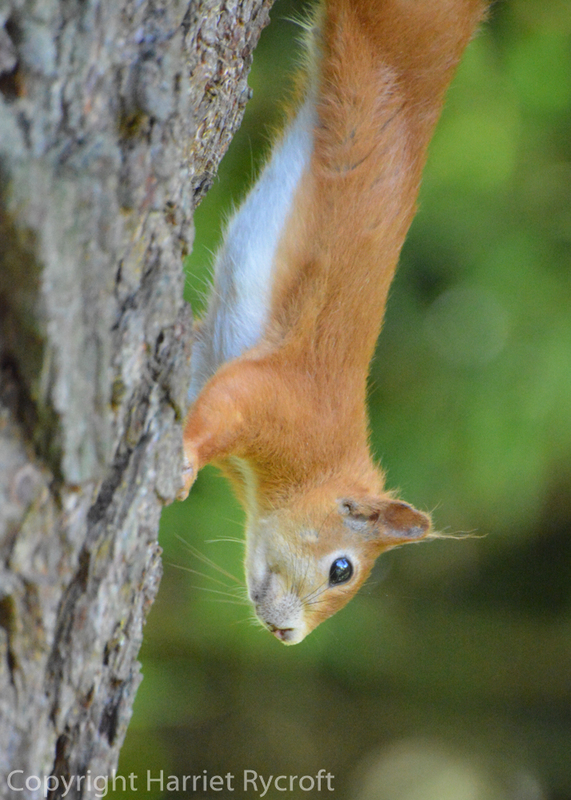 Red squirrel – a pretty pest, planning to pillage Proteas.